Every camp is different. New England Music Camp, where I worked, emphasized a balance of musical gains and personal and social growth. Class and recreation schedules are individualized to meet each camper’s specific needs. 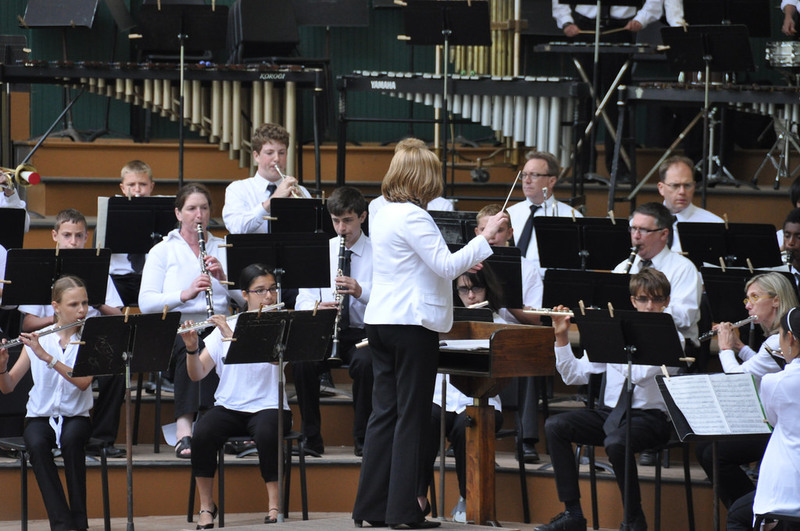 A director or parent looking for a camp that seeks to enrich attendees both musically and socially should look into New England Music Camp or a similar program. Many camps partner with a university program. The University of the Arts presents the Creative Jazz Institute, a pre-college summer jazz program that allows middle and high school students to study with University of the Arts faculty for an intensive two weeks. They also invite guest jazz artists from around the country to enrich the educational experience. All of this is done in an atmosphere that closely resembles what college life will be like, with dorm living and dining hall access. Not every program includes such accommodations, and parents and directors may not be looking for that sort of experience. There are plenty of camps that only meet during the day, or offer shorter or longer durations. Deciding whether a sleep-away or day camp is better for your student is a good way to start narrowing down your options. Once you know whether you want a day program or an overnight camp, it’s time to look into faculty considerations. The backgrounds of the individuals running the programs vary, with some focusing on education, others on performance, and some a combination. You have to decide what is more important for the development your student needs. Is it crucial that the instructors have teaching experience, or is performance experience more important? It is also important to find out what the faculty does outside of the program – if they work with students the entire year or just part of it, or if they only work with young people during this camp. This can be especially important when considered with class size. If your student will be receiving a lot of individual attention, then classroom experience may be less important than if the bulk of the instruction is done in a large group session. That does not mean that a person focused mainly on performance cannot do a good job teaching a large ensemble; it is just something to consider. It is also important to consider what you want your student to get out of the program. Are you looking for a wide range of musical styles to broaden their horizons, or is there a specific area they need to work on? If your student has no interest in jazz, there’s no sense in sending them to a program with much focus on jazz band. Furthermore, if they have specific technique issues, you may want to consider a smaller group where they can get more direct instruction. However, if you want them to be exposed to more advanced music with the opportunity to play beside the best musicians in their age group, it may make more sense to choose something more ensemble-focused. In that same realm, you need to think about how intense an experience your young musician is prepared for. Would they be better off in a program that presents a variety of activities rather than one that has a singular focus? In addressing the whole child, can the student handle an intense musical day, or would a variety of activities be more suitable? Are there medical concerns that might need to be addressed by, explained to, or supported by the faculty or camp staff? Providing such information at the beginning can help create success for the student in the end. Remember to think critically about all this, because sending your young musicians to the wrong program can hinder their development rather than help it. 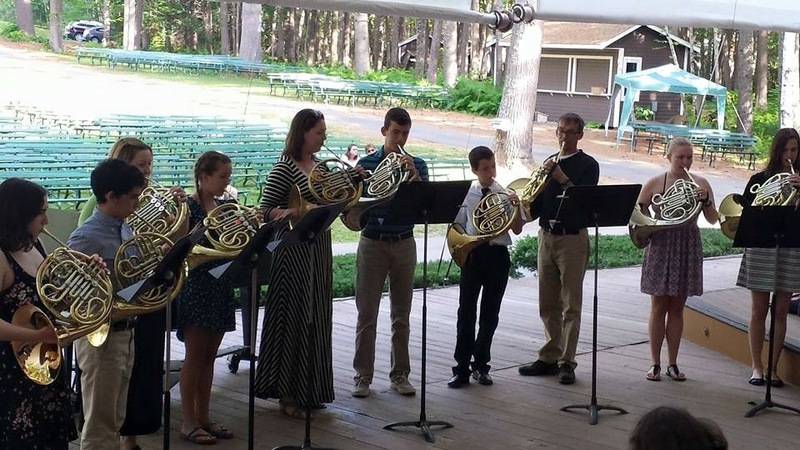 For summer camp options, view The Instrumentalist’s 2019 Directory of Summer Camps. For strings, the American String Teachers Association (ASTA) has a list of programs for teachers and students. For professional development, view information on the program Dr. Neff directs – the UArts Summer Music Studies Program. Dr. Neff went to Michigan State University for her bachelor's (1990) and master's (1992) degrees in music education. She completed her doctorate in educational leadership at Immaculata University in 2016 while she was teaching public school in suburban Philadelphia. After teaching public school music for 25 years in Connecticut and Pennsylvania, she is now associate professor and chair of Music Education at the University of the Arts in Philadelphia where she also directs their Master of Music and Summer Music Studies programs. Brendan started at Pepper in 2012 and currently works in the Marketing department as a copywriter. A graduate of Villanova University, Brendan has been a musician for over twenty years. He is also an author, using his talents at Pepper to bring the knowledge of our experienced staff to our customers.